In Nerostein we believe that stone is by far the best material for kitchen worktops, be it natural stone, quartz or ceramics. Stone is durable, beautiful and practical. To be honest, the only downside is the price - stone worktops are more expensive than the more common laminate worktops. Our mission in Nerostein is to make stone worktops affordable. The key is being efficient in the production. Big quantities and the best machines in the market make the difference. 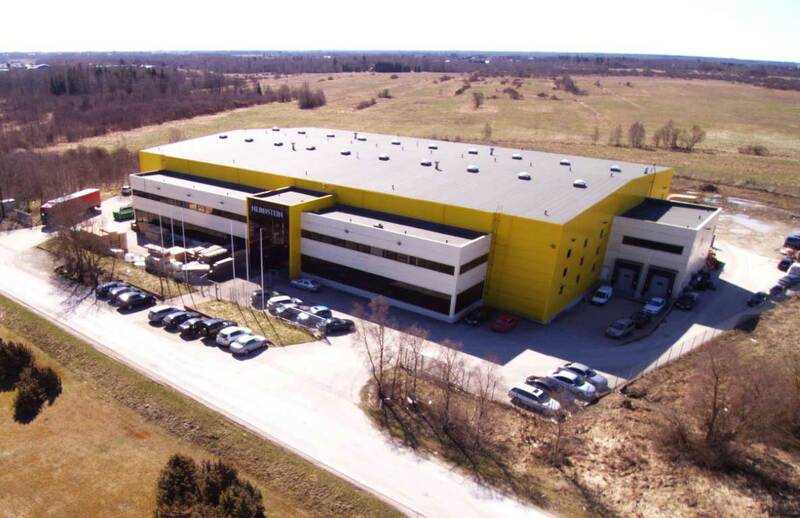 Our production facility is just outside of Tallinn, Estonia. Production costs in Estonia are lower than in our target markets. That gives us another advantage before our competition. We believe in a high quality product. A high quality product is perhaps the best marketing tool and therefore helps us to grow. Nerostein is a very young company. We started in March 2015. But the start has been unbelievably good. We are currently producing about 250 kitchens weekly. That makes us the market leader in Scandinavia. Beside Finland, Sweden, Norway and Denmark we are strong also in the UK and France and of course also in Estonia. We have our own measuring up and installation teams to provide our customers with full service to ensure a really short delivery time and the best final result. Currently we have 11 CNC machines, 2 water-jet machines and 3 edge polishing lines in 4300 square meters of production area. Our production is environmental friendly, water in production is cleaned and re-used, production waste is handled by certified partners. Out of 112 employees 55 are in production, 17 in sales and backoffice, 40 in installation. Currenty 60% of the Nerostein production is quartz, 35% granite and marble, 5% ceramics. In the coming years we expect the percentage of ceramics to grow significantly as it seems to be the new trend. Our selection of natural stone includes the most popular colours from quarries all over the world. In our selection of quartz we have both the premium brands like Caesarstone and Silestone, but also the more economical brands like Technistone and Hanstone. All these brands use the patented Breton technology ensuring the highest quality product. In ceramic selection we have included perhaps the best known brand Dekton from Cosentino and also Sapienstone from Iris Ceramica Group, a world leader in high-tech porcelain material.